This classic Manhattan Drink Recipe is the perfect cocktail! Made with easy to find ingredients whiskey or bourbon, vermouth, and a dash angostura bitters, it is as simple as it is delicious. 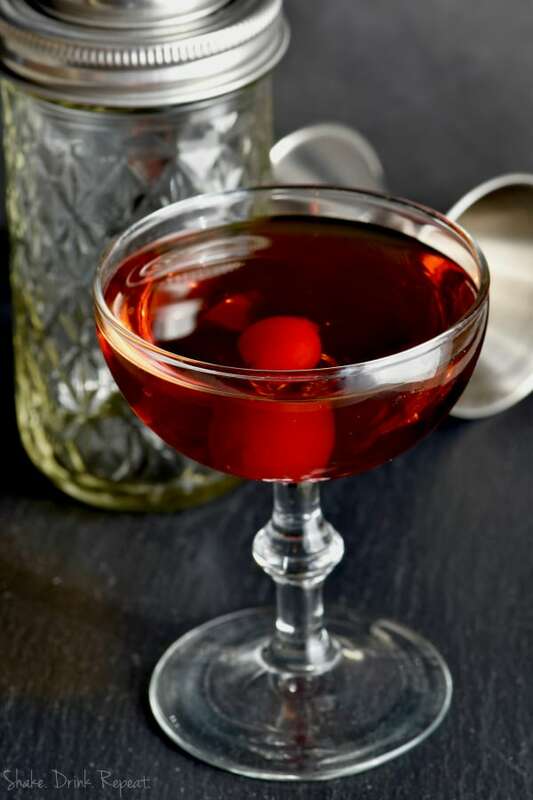 If you are looking for a classic Manhattan Drink recipe, you have come to the right place. We just can’t get enough whiskey cocktails, so if you are also looking for more, make sure you check out this Wine and Whiskey Cocktail, this Dessert Wasteland Whiskey Cocktail, and this very different twist – a Super Bowl Slammer. If you have never had a Manhattan cocktail, it is time we introduced you to this thing of beauty. 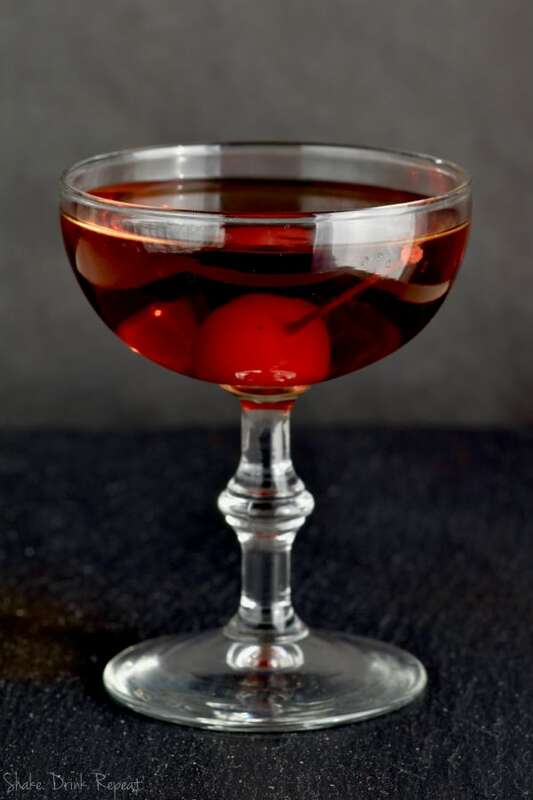 The origins of the Manhattan cocktail aren’t exactly known, but it is thought to have been created in Manhattan in the late 1800s. It is said that it was the first cocktail that used vermouth, even before the martini. HOW DO I MAKE A MANHATTAN COCKTAIL? Finally, it is traditionally garnished with a cherry. WHAT KIND OF WHISKEY IS USED IN A MANHATTAN? 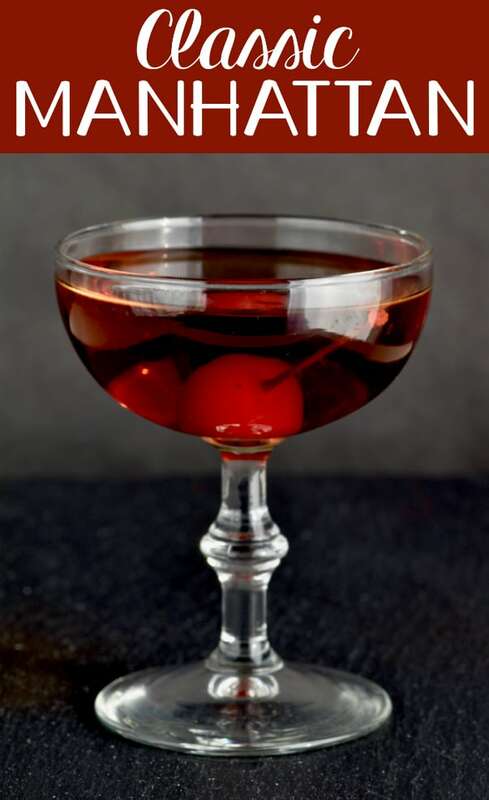 Traditionally, a rye whiskey is used to make a Manhattan. 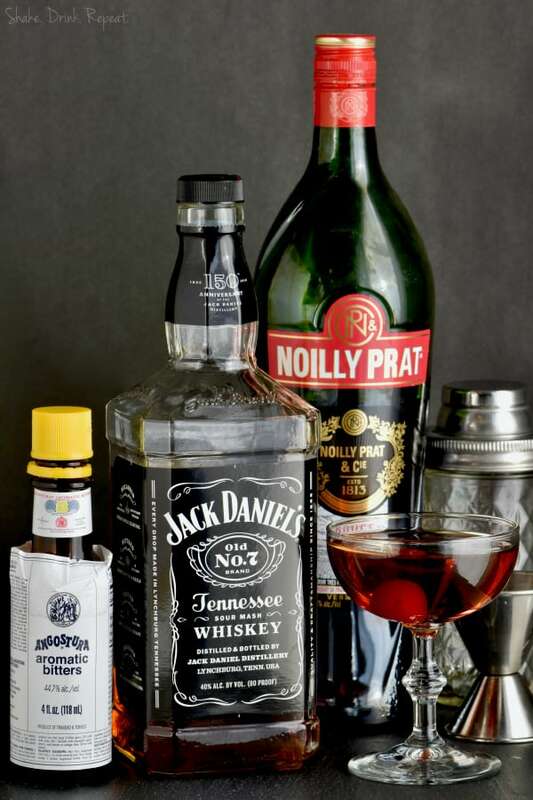 We believe that you should use the whiskey that you enjoy most in making this delicious cocktail. Looking for the perfect glass to serve your Manhattan in? Try some of these cocktail glasses. If you are looking for more great recipes using whiskey, make this Whiskey Smash! We can’t wait to try this Ginger Whiskey Cocktail! And how about this Whiskey Sour Punch!? This classic Manhattan Drink Recipe is the perfect cocktail recipe! Made with easy to find ingredients, whiskey or bourbon, bitters, and vermouth, it is as simple as it is delicious. Mix all the ingredients together and pour into a cocktail glass. Garnish with a cherry. This post contains affiliate links, if you click on them and then make a purchase, I make a small amount of money at no additional cost to you. Thank you in advance for supporting Wine and Glue.